Verderflex specialises in the manufacture of peristaltic hose pumps and other pumping solutions for a variety of industries, including brewing, water and wastewater treatment, food and beverage, and chemicals. 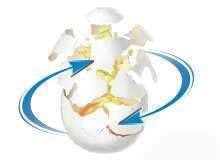 Our products are robust, reliable and, above all, cost-effective. 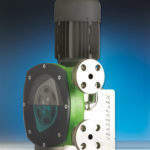 Our peristaltic pump range in particular – Verderflex – has gained prominence worldwide, particularly in dosing applications, applications involving abrasive and highly-corrosive products, and high-maintenance situations. 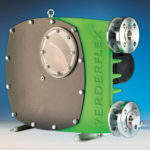 The Verderflex industrial hose pump stands apart from its competitors: it is a flexible, reliable peristaltic pump of robust construction capable of handling difficult products in arduous conditions. 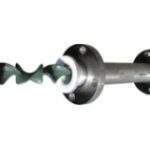 The hose is the most important feature of any peristaltic pump and we have therefore ensured that the Verderflex peristaltic pump hose is tough, long-lasting and capable of withstanding corrosive and abrasive applications. 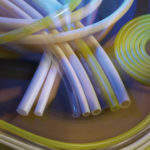 The Verderflex peristaltic pump hose can also be used in other peristaltic pumps on the market. 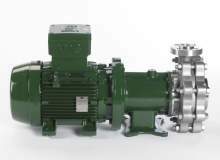 One of the main differences between Verderflex and its key competitors is that a Verderflex pump allows the customer to choose a local gearbox supplier, thereby maximising local flexibility and reducing potential servicing problems. Verderflex peristaltic pumps have a very-gentle pumping action which does not damage the pumped material; an advantage in many applications. 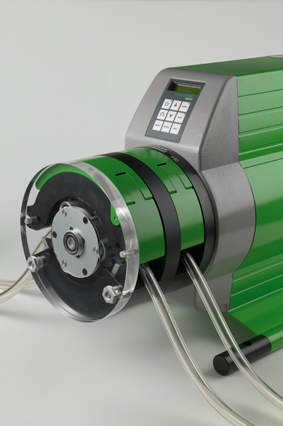 These peristaltic pumps offer pumping capacities from 10L/hr to 80m³/hr (0.45gpm to 350gpm), discharge pressure of up to 16bar (230psi), and suction lift of up to 95% vacuum. 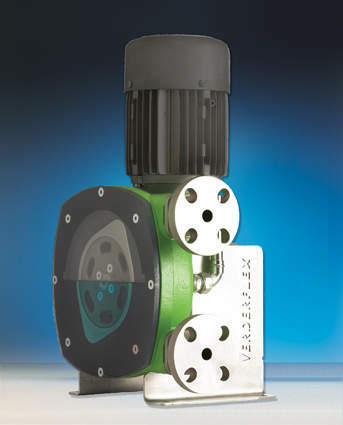 Verderflex peristaltic pumps can be supplied with either close-coupled or robust long-coupled design, which offers maximum flexibility, meaning the pump is flexible enough to adapt to different applications. Due to the often-dangerous nature of the products pumped by Verderflex peristaltic pumps, the range had been designed to provide maximum safety to the workforce and environment. 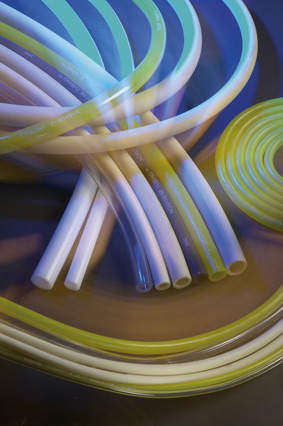 The peristaltic pump hose connection is disaster-proof – unlike other peristaltic pumps, the Verderflex range has a completely-sealed hose connection that avoids leakage and eliminates any danger. Verderflex peristaltic pumps are incredibly accurate at dosing: they offer a repeatability accuracy of ±1% without any slip. They also have a vacuum capability of 95%, or a 9.5m / 31ft lift of water. The Verderflex Smart range of laboratory peristaltic tube pumps allows dosing of small amounts of a wide variety of media in a number of processes in the food and beverage, water, chemical and other industries. Verderflex has worked hard to create a design that meets the requirements of its customers. 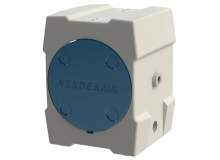 The Verderflex Smart series is a reliable, flexible, low-pressure peristaltic pump. The actual design is the result of research carried out over a number of years. The illuminated central display is easy to read from all angles and its menu has been designed so that it is simple and logical to navigate. As there is no pump head beside the display it can be operated by left and right-handed people, and Verderflex Smart peristaltic tube pumps are large enough to be operated even when wearing gloves. The position of the pump head allows in-line, ‘kink-free’ pumping. Unlike other complex front-loading systems, the easy-fit tube saddle is designed for one-handed operation and is based on the design of a ski-boot fastener, allowing the tube to be loaded easily from above. The all-terrain water-protected design (IP55), means it is capable of withstanding harsh environments, but is also suitable for laboratory applications. The pump head has its own bearings, removing the load from the drives and therefore giving the pump a longer life. Verderflex peristaltic pumps are renowned for providing top-quality solutions for an array of problems within process industries around the world. The 2007 Verderflex Dura Brochure is here! Verder Group has, in the previous 50 years, built a strong position in the European market as an industrial supplier. 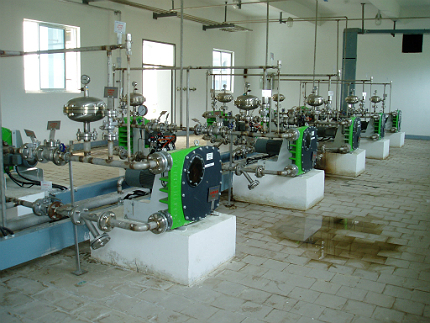 When no off-the-shelf pumping system or product is suitable for your process, Verder UK can provide a bespoke solution. The Verderair range of air-operated double diaphragm pumps features models for industrial, hazardous environments and hygienic applications. For the safe handling of highly corrosive fluids at high temperature or pressures, the Verdermag range of centrifugal mag drive pumps provides a 100% leak-free solution. The Verdermix range of static and dynamic mixers provides a mixing, blending or agitating solution for chemicals, even those that are gaseous or contain solids. Next Generation Peristaltic Cased Pump with Intuitive Touchscreen Technology. The Verderflex Dura is the first real advance in hose pump technology since the high pressure hose. The Verderflex Dura 5 and Dura 7 combine a close coupled pump's compactness with traditional long coupled pump benefits in superior high-pressure, low volume-dosing pumps. One of the largest UK manufacturers of fresh dairy products for the food industry was using air diaphragm pumps to dose peracetic acid into the final rinse water of both raw and finished clean-in-place (CIP) routines. The Verderflex Dura 45 is the pathfinder in a new generation of medium flow, industrial hose pumps. This free white paper from Verderflex gives an insight into what features companies who use their range of pumps can expect to benefit from. The Verder group is a family owned, Netherlands-based business formed more than 55 years ago, which comprises a global network of production and distribution organisations. 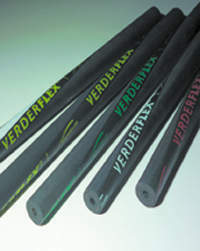 Verderflex has announced its latest Dura range of high-pressure, low-volume pump products, marking the first major advancement in hose pump technology since the invention of the high-pressure hose. Verderflex® Rapide is pleased to introduce its new range of industrial tube pumps delivers a selection of peristaltic pump soutions, that are both versatile and simple to operate. The world's demand for laminated furniture, worktops and flooring continues to grow, with increasing demand for toughened surfaces leading to greater use of an abrasive resistant paper (ARP) coated surface. Traditional pumping solutions experience high rates of abrasive seal wear and require increased maintenance, problems not experienced with a Verderflex Rollit. Verder are attending IFAT, one of the world´s leading trade fairs for water, sewage, waste and raw materials management. The new Verderflex Vantage 5000 is a highly advanced, next-generation, peristaltic pump system with touchscreen technology and intuitive operating system. The new Verderflex Vantage 5000 is a highly advanced next generation peristaltic pump system with touchscreen technology and intuitive operating system. A leading international wastewater instrumentation manufacturer is now incorporating Verderflex peristaltic pumps as part of its wastewater sampler systems. Leading peristaltic pumps manufacturer, Verderflex, will be exhibiting at ACHEMA, Frankfurt, Germany, on 15 - 19 June 2015, in partnership with its German distributor Verder Deutschland. 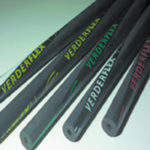 Verderflex is proud to unveil its new product, the Verderflex Dura 55. This innovative, superbly engineered pump is designed to deliver over 20% more flow, increasing the Dura Hose pump family's flow range. World Pumps China magazine, published by Ringier Trade Media Ltd, has announced Verder Liquids BV as the winner of the 2014 Ringier Technology Innovation Awards for the pumps and valves industry. Verderflex introduces the Dura 5 and Dura 7 high-pressure low-volume dosing pumps. A packaging company in Australia needed an effective means of transferring glue at six l/min from its IBC holding tanks to its glue rollers. 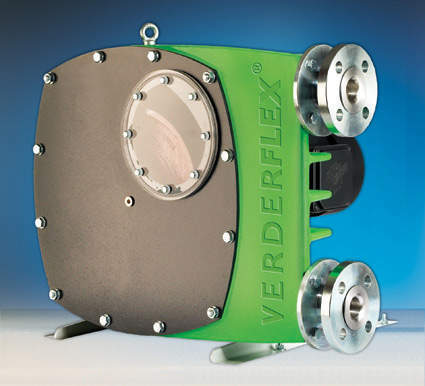 Verderflex® industrial peristaltic pumps are extremely robust pumps, ideal for heavy duty operations on intermittent or continuous duty cycles. Peristaltic pumps are a type of positive displacement pump used for pumping a variety of fluids. 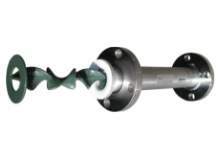 The fluid is contained within a flexible hose or tube fitted inside the pump casing. After launching the new Verderflex website in 2012, Verderflex are pleased to announce that the website is available to view in Spanish. Verderflex Peristaltic Pumps made a huge impression at the Indian exhibition. The automatic and precise dosing of ink and sealant, 24 hours a day every day, is the role of a British-made Verderflex® tube pump at an automotive industry supplier in South Africa. Verder will be at exhibiting at the Chemtech World expo in Mumbai, India, on 15-18 January, 2013. To visit our booth please head to Hall 1, Booth F2. The hoofcount footbath counts the cows through the bath and refreshes the water and chemical after a preset number of cows. 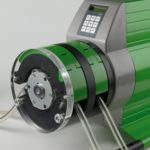 By design, the peristaltic pump is ideal for the dependable handling of abrasive, corrosive, viscous, high density and high solid content fluids. It thrives in those applications where other pumps fail. Water and wastewater industries, mining and chemical processing are all prime markets for this workhorse. The Dura 45 is the latest in the class leading Verderflex Dura family of industrial peristaltic pumps. The new Verderflex website offers its distributors and customers the ‘one safe source’ in which to access worldwide VF product information. South Africa Verder Pumps SA (Pty) Ltd.
Verder Retsch Shanghai Trading Co., Ltd.
VERDER INDIA PUMPS Pvt. Ltd.